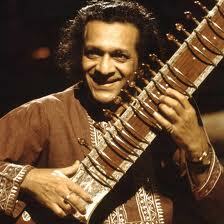 Ravi Shankar, who has died aged 92 in San Diego, was the Indian maestro who put the sitar on the musical map. George Harrison called him “the godfather of world music” and it was Shankar’s vision that brought the sounds of the raga into western consciousness, thus bridging the gap between eastern and western music for the first time. In a long career he was still winning awards in 2002 when his album Full Circle/Live at Carnegie Hall (2000) achieved a Grammy for best album in the world music category. Shankar’s distinction as a sitar player was his brilliant virtuosity, creativity and vast range of musicianship. In the west, certainly, his name is also synonymous with the music of India. Shankar was born in the holy city of Benares, now better known as Varanasi. The youngest of five sons, his family were Bengali Brahmins from Jessore, now in Bangladesh, and much influenced by the reformist ideas propagated by writers such as Rabindranath Tagore. The Shankars were part of what became known as the Indian Renaissance. Ravi’s father was a Sanskrit scholar who became chief minister of Jhalawar state. In Paris he heard western classical music for the first time. He loved the guitar artistry of Andrés Segovia and the singing of Feodor Chaliapin. Opera, too, enchanted him. However, back in India, he set his heart on becoming a sitarist after listening with rapture to the melodious playing of an older boy. He resolved to learn from the famous sitar teacher and performer Ustad Inayat Khan, the father of the celebrated sitarist Vilayat Khan and the sarodist Imrat Khan, but on the day of the initiation ceremony Shankar fell ill with typhoid.